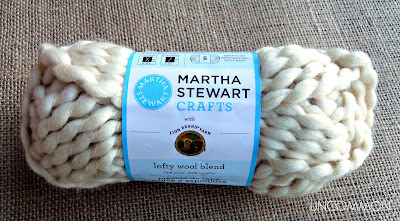 The sweet folks at Lion Brand Yarn contacted us a few weeks ago to see if we would be interested in trying out a few of their products. Seriously? Pinch me now! We thought about it for half a second and quickly hopped over to their site to take a look at what they had to offer. I immediately fell in love with the Lofty Wool Blend yarn from the Martha Stewart Crafts Collection. Just take a look at Snowdrift in all her soft and fluffy goodness. So cuddly! Now, I don’t knit, but it just screamed cable knit sweater to me! 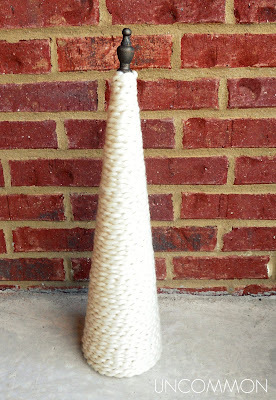 I instantly knew that it would be perfect to make a cable knit tree for Christmas! This was one of the easiest and quickest crafts I have made in a long time and I am so in love with it! It literally took me ten minutes to make it… no joke! Step One. 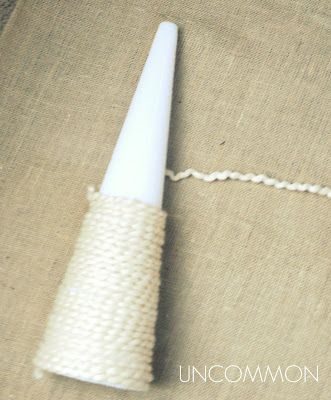 Glue the first layer of yarn to your styrofoam cone (make sure you leave a little at the start tucked under the bottom). Step Two. Wrap all the way up the cone. You need to cover the styrofoam, but don’t wrap too tight or your tree won’t be “fluffy”. When you get to the top, glue down the ends. Step Three. 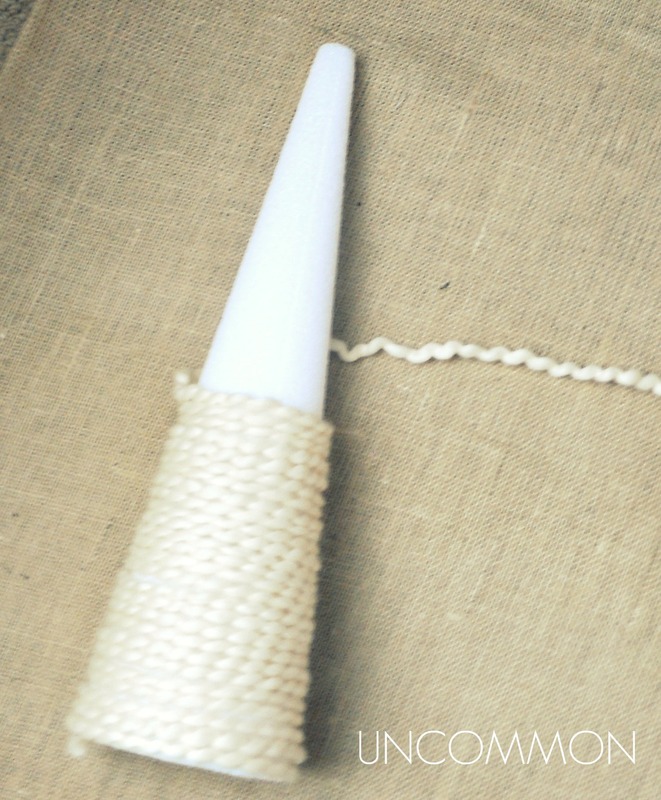 Glue your finial or ornament to the top and you are done! Crazy easy and just so pretty! Here she is with our ribbon tree that we showed you a few weeks ago. You can find the tutorial here. I also had to include a starfish, a jute wrapped ornament, and more shine and glitter to the mix. 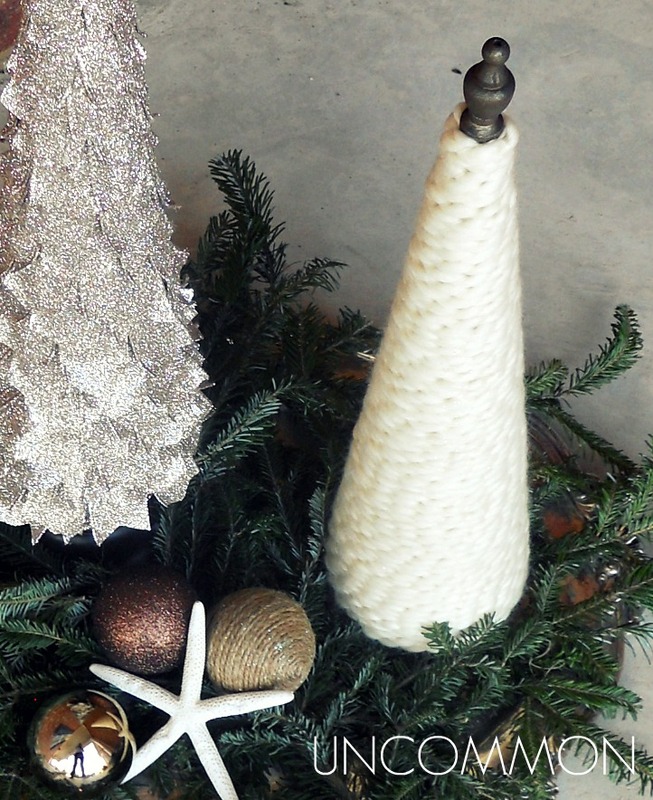 Just perfect for my Coastal Christmas decor. The best thing about these trees is that after Christmas is over I can keep them out all winter! Hope you guys are enjoying all of the joy that the holidays bring! Come and See Us Today at Under the Table and Dreaming! Love. it. Just beautiful, and love that you can use your trees into the winter! Wow Trish they look fabulous! Thanks so much for sharing at Friday Frolic! Those are so cute! Love it! Great job and wonderful Idea! I am your newest follower! I think your blog is adorable. I would appreciate it if you came and checked out my blog and followed me back! Thanks! that yarn is divine!!! I will have to look for it. I love those trees! Thanks for stopping by Reading Confetti! 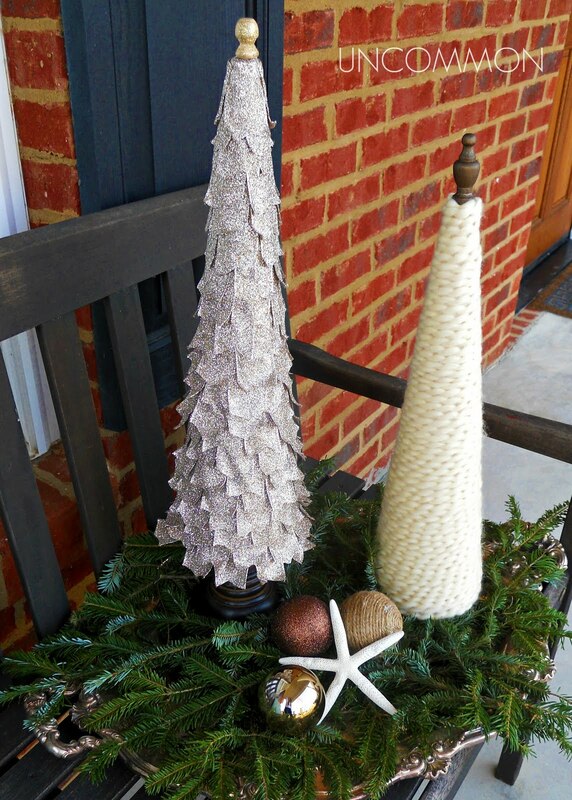 Quick & simple – a perfect project for this time of year. Some more great trees for the “tree” lady. Love the yarn one too. Also like the idea that you can keep these out all winter, so I’ll be making a few. Thanks again for sharing your creativity over at Sunday’s Best. Thought I was following you and found out I wasn’t, so now a follower! Thank-you so much for joining up to our Pin’Inspiration Thursday Party. You have helped to make it a real success! These turned out beautifully! Thank you so much for sharing at Taking A Timeout Thursday and Merry Christmas! Thank you so much for letting us know Francie! We switched over to a new server and platform 2 weeks ago and are still working through some growing pains! I have updated the link! 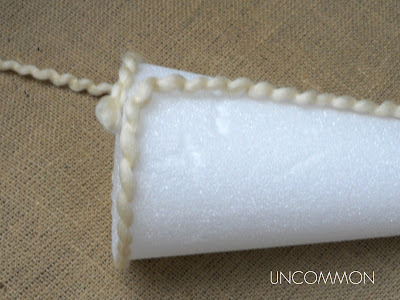 I have tons of heavy cardboard thread cones I could use instead of investing in styrofoam. Do you think they would work well also?